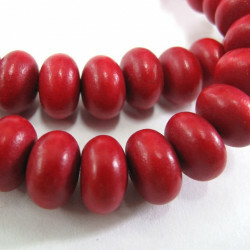 Bright and cheerful wooden beads, Exotic and classy wooden beads. The choice is yours. 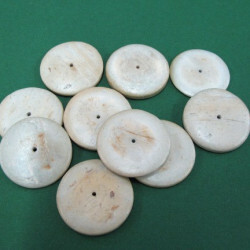 Wooden beads There are 6 products. 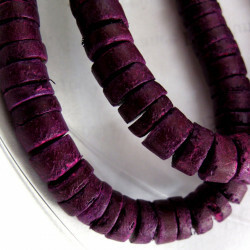 WB1021 - Strand of dark red rondelle wooden beads. Quality beads. Approx sixe 12 x8mm. 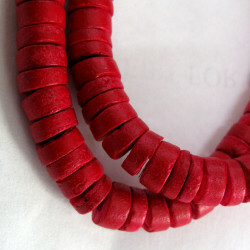 Strand length approx 21cm. 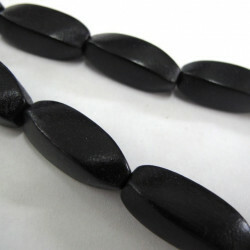 WB1010 - Strand of black twist wooden beads. These are a quality wooden bead. 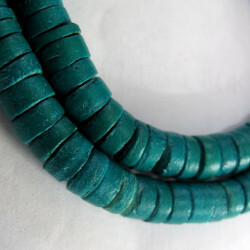 Size approx 30 x10mm. 8 on strand of approx 20cm.